I had such a wonderful time in LaBelle and Lewiston last week…to LaBelle Middle; County Oaks Elem; Lewiston Middle; and Central Elem schools…the kids were awesome, so polite, so curious, and so friendly…I can’t thank all the teachers involved who helped to make everything go smoothly….especially Barbara who organized it  and Amanda who was a big help on the first day…..on Thursday I am off for another visit to Brazil, to participate in a huge celebration, the 10 year anniversary of the Campus Party Brazil which will be celebrated in Brasilia…as always so many interesting things going on….I hope you can share the launch with the kids, these launches are pretty amazing as they have a camera with the astronauts…they look like they are sitting on a couch in their home, it is that smooth….launch is  5:20AM, New York time, so those of you still in school in Europe should be able to see it live on NASA TV….http://www.nasa.gov/nasatv <http://www.nasa.gov/nasatv> The spacecraft is set to dock to the aft port of the Zvezda Service Module at 7:42 a.m. on Friday, June 16. NASA TV coverage of rendezvous and docking will begin at 7 a.m. Progress 67 will remain docked at the station for almost six months before departing in December for its deorbit into the Earth’s atmosphere. Progress MS-06, Russia’s first supply delivery to the International Space Station (ISS) in nearly four months, is closing in on its targeted launch date of June 14, 2017. 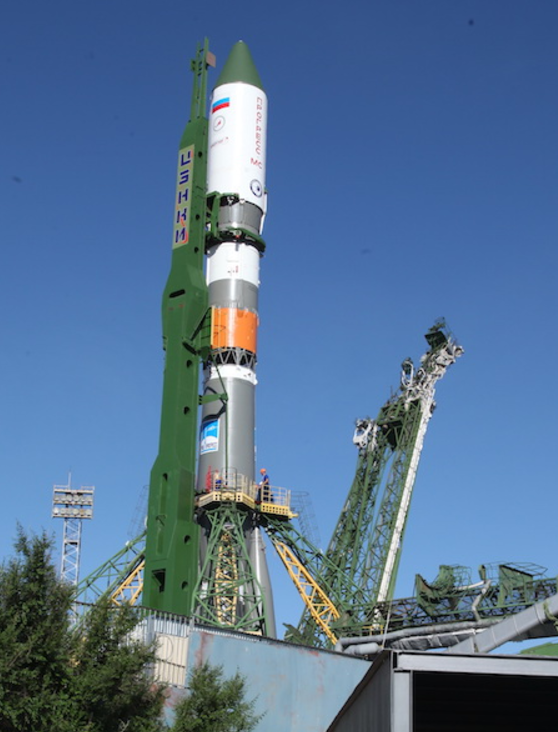 The uncrewed mission is set to lift off at 5:20 a.m. EDT (09:20 GMT) from Site 31/6 at Baikonur Cosmodrome in Kazakhstan and will deliver approximately 5,400 pounds (2,450 kilograms) of cargo to the orbiting outpost. Russia’s Progress freighter is an uncrewed variant of the crewed Soyuz vehicle and is capable of fully autonomous flight and will automatically dock with the Russian segment of the ISS once it arrives. However, unlike the Soyuz, no part of Progress is designed to survive re-entry at the end of its mission. Among the supplies and consumables, Progress MS-06 will be carrying some 1,554 pounds (705 kilograms) of propellant, 110 pounds (50 kilograms) of oxygen, and 926 pounds (420 kilograms) of water. Upon reaching orbit, the cargo craft will embark on a two-day, 34-orbit rendezvous profile with the space station and is expected to spend about six months attached to the outpost. Docking with the Zvezda service module is expected to take place at 7:42 a.m. EDT (11:42 GMT) on June 16. The spacecraft will make use of the same upgraded avionics and navigation hardware flown on Soyuz MS-04 <http://www.spaceflightinsider.com/organizations/roscosmos/new-iss-crew-set-lift-off-soyuz-fg-baikonur-first-crewed-launch-2017/>. Outfitted with a more modern suite of digital communications and radar systems, the MS series will be able to maintain communications with Russian mission control in Moscow through nearly 70 percent of an orbit. It will do this by utilizing the Luch-5 relay satellites rather than relying on ground stations over Russian territory. Additionally, the Kurs-NA docking system has received a substantial upgrade, providing greater efficiency during docking sequences. Progress MS-06 – or 67P, as it is classified by NASA <https://www.nasa.gov/> – will launch atop a Soyuz 2.1a rocket, which is an upgraded version of the venerable Russian launcher that has seen decades of successful use. The Soyuz family has been a workhorse of the Soviet and Russian space programs since 1966, tallying more than 1,700 launches in the past 50 years. The launcher family has seen flights from Russian/Soviet launch sites as well as from Arianespace <http://www.arianespace.com/>‘s facilities in French Guiana in South America. This particular variant is capable of lofting more than 15,480 pounds (7,020 kilograms) to a low-Earth orbit. Composed of a core surrounded by four strap-on liquid-fueled boosters, the first stage of the rocket is an iconic design immediately recognizable by its distinctive look of the four boosters as they taper to meet the core stage. Making use of slightly different versions of the same family of Russian-designed and manufactured engines, the core sports a single RD-108A, while each booster utilizes an RD-107A. Both engine types are powered by a single turbopump assembly feeding liquid oxygen (LOX) and highly refined kerosene (RG-1) into four independent combustion chambers. Although both the RD-107A and RD-108A are based on the same design, their output is somewhat different. The boosters each provide 188,500 pounds-force (838.5 kilonewtons) of sea-level thrust totaling 754,000 pounds-force (3,354 kilonewtons) of supplemental power during their two minutes of operation; the core stage provides a bit less at 178,100 pounds-force (792.5 kilonewtons). The Soyuz’s second stage, also known as the Blok-I, is powered by the Russian-made RD-0110. Like its larger RD-107A/108A cousins, the RD-0110 has four combustion chambers into which is fed LOX and RG-1 from a single turbopump system. The smaller RD-0110 provides nearly 67,000 pounds-force (298 kilonewtons) of vacuum thrust and has been in production for more than 57 years. Finally, the upper stage for the Progress MS-06 launch will be the Russian Fregat. It is powered by a lone S5.92 engine burning a mixture of nitrogen tetroxide and unsymmetrical dimethylhydrazine. It produces 4,460 pounds-force (19.85 kilonewtons) of vacuum thrust and is responsible for placing the spacecraft into a proper orbit. The launch will be covered live on NASA TV <http://www.nasa.gov/nasatv>. 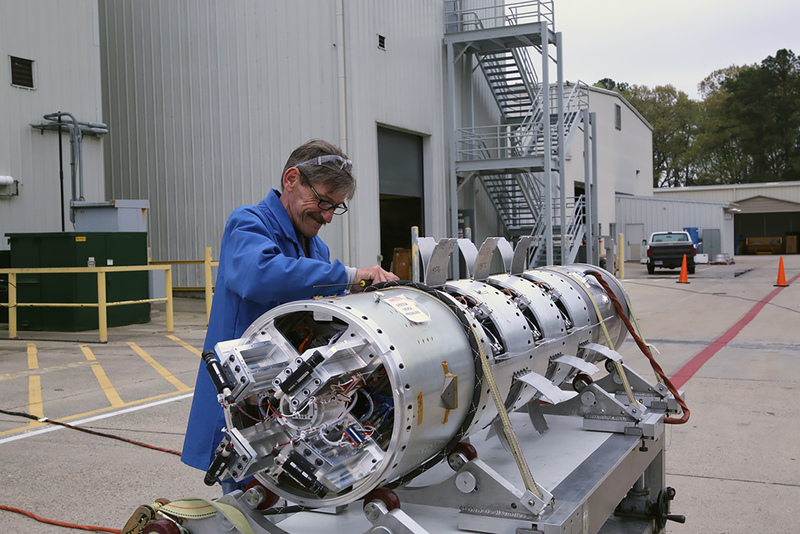 The launch of a Terrier-Improved Malemute sounding rocket scheduled for June 12 from NASA’s Wallops Flight Facility has been postponed due to clouds impacting the ability to test a new ampoule ejection system designed to support studies of the ionosphere and aurora. The launch is now scheduled for Tuesday, June 13, with a launch window from 9:04 to 9:19 p.m. NASA has two ground stations—at Wallops and Duck, N.C.—to view blue-green and red artificial clouds that will be produced as part of the test. Clear skies are required at one of the two ground stations for this test. Clouds obscured the viewing area at both viewing sites for the June 12 launch attempt. The June 12 attempt was the sixth for this mission. Previous scrubs have been due to a variety of issues, such as high winds, clouds, and boats in the hazard area. The multi-canister ampoule ejection system flying on this mission will allow scientists to gather information over a much larger area than previously able. Canisters will deploy between 4 and 5.5 minutes after launch releasing blue-green and red vapor to form artificial clouds. These clouds, or vapor tracers, allow scientists on the ground to visually track particle motions in space. The clouds may be visible along the mid-Atlantic coastline from New York to North Carolina. The NASA Visitor Center at Wallops will open at 8 p.m. on launch day for viewing the flight. 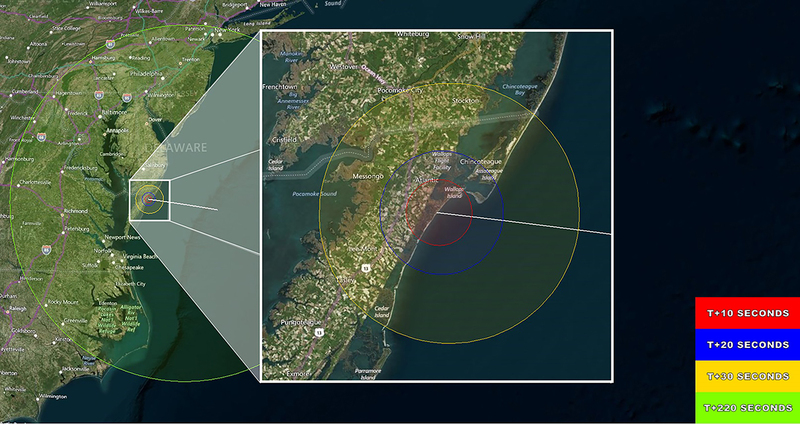 Live coverage of the mission is scheduled to begin at 8:30 p.m. on the Wallops Ustream <http://www.ustream.tv/channel/nasa-tv-wallops> site. A Facebook live is also planned beginning at 8:50 p.m. on www.facebook.com/NASAWFF <http://www.facebook.com/NASAWFF>. Launch updates also are available via the Wallops Facebook and Twitter sites. 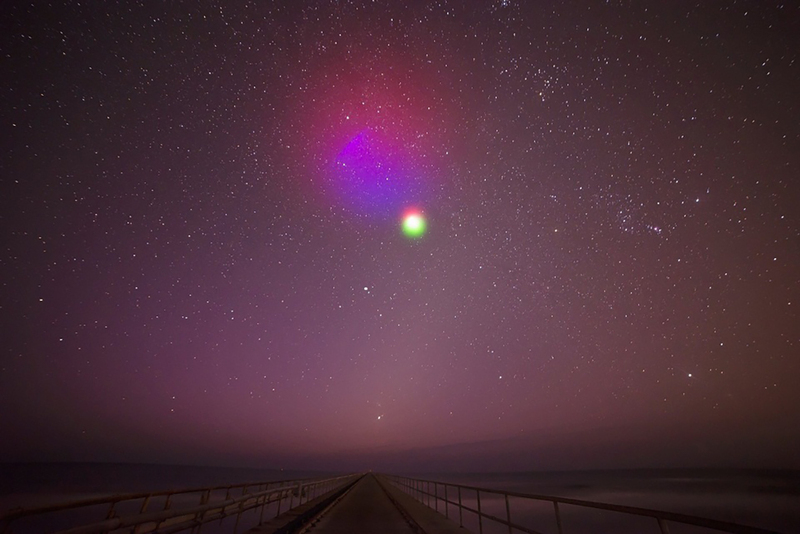 Original Story: The early morning skies along the mid-Atlantic coast will light up with luminescent clouds as NASA tests a new system that supports science studies of the ionosphere and aurora with a sounding rocket launch May 31 from the Wallops Flight Facility on the eastern shore of Virginia. Backup launch days are June 1 through 6. The ampule doors on the sounding rocket payload are open during testing at the Wallops Flight Facility. This map shows the projected visibility of the vapor tracers during the May 31 mission. The vapor tracers may be visible from New York to North Carolina and westward to Charlottesville, Virginia. During the flight of a two-stage Terrier-Improved Malemute sounding rocket between 4:25 and 4:42 a.m. EDT, 10 canisters about the size of a soft drink can will be deployed in the air, 6 to 12 miles away from the 670-pound main payload. The canisters will deploy between 4 and 5.5 minutes after launch forming blue-green and red artificial clouds. These clouds, or vapor tracers, allow scientists on the ground to visually track particle motions in space. The development of the multi-canister ampoule ejection system will allow scientists to gather information over a much larger area than previously allowed when deploying the tracers just from the main payload. Ground cameras will be stationed at Wallops and in Duck, North Carolina, to view the vapor tracers. Clear skies are required at one of the two ground stations for this test. The vapor tracers are formed through the interaction of barium, strontium and cupric-oxide. The tracers will be released at altitudes 96 to 124 miles high and pose no hazard to residents along the mid-Atlantic coast. The vapor tracers may be visible from New York to North Carolina and westward to Charlottesville, Virginia. The total flight time for the mission is expected to be about 8 minutes. The payload will land in the Atlantic Ocean about 90 miles from Wallops Island and will not be recovered. The NASA Visitor Center <http://www.nasa.gov/centers/wallops/visitorcenter> at Wallops will open at 3:30 a.m. on launch day for viewing the flight. Live coverage of the mission is scheduled to begin at 3:45 a.m. on the Wallops Ustream <http://www.ustream.tv/channel/nasa-tv-wallops> site. Launch updates also are available via the Wallops Facebook <http://www.facebook.com/NASAWFF> and Twitter <http://www.twitter.com/NASA_Wallops> sites. 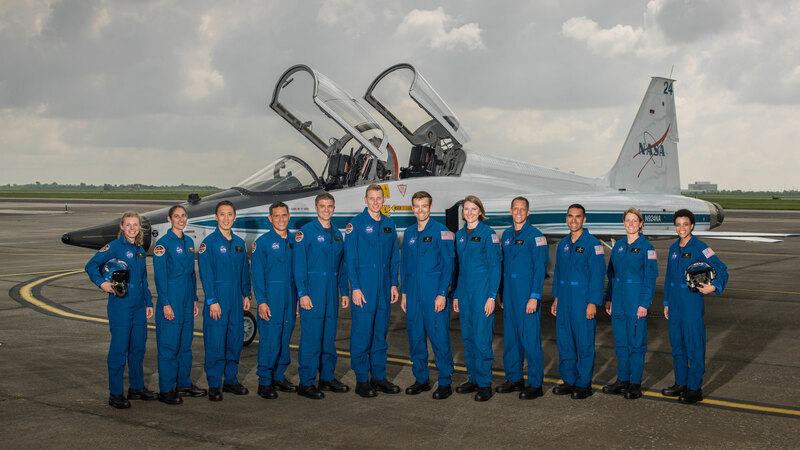 The term astronaut candidate refers to individuals who have been selected by NASA as candidates for the NASA astronaut corps and are currently undergoing a candidacy training program at the Johnson Space Center. The newest class of 2017 astronaut candidates were announced June 7, 2017. If you would like to find more information regarding the astronaut selection program check http://astronauts.nasa.gov/ <http://astronauts.nasa.gov/>for updates.